NuNaturals has developed this easy to use liquid that allows the most accurate measurement of NuStevia Extract. This liquid is so concentrated, that only 5-10 drops are needed. Pure Liquid Clear NuStevia Extract contains 200 mg per ml and is in a base of vegetable glycerine and 20% pure grain alcohol. 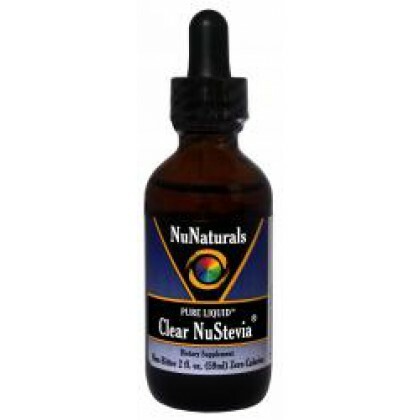 Clear NuStevia comes in a 2 oz bottle. Great for teas and other beverages.